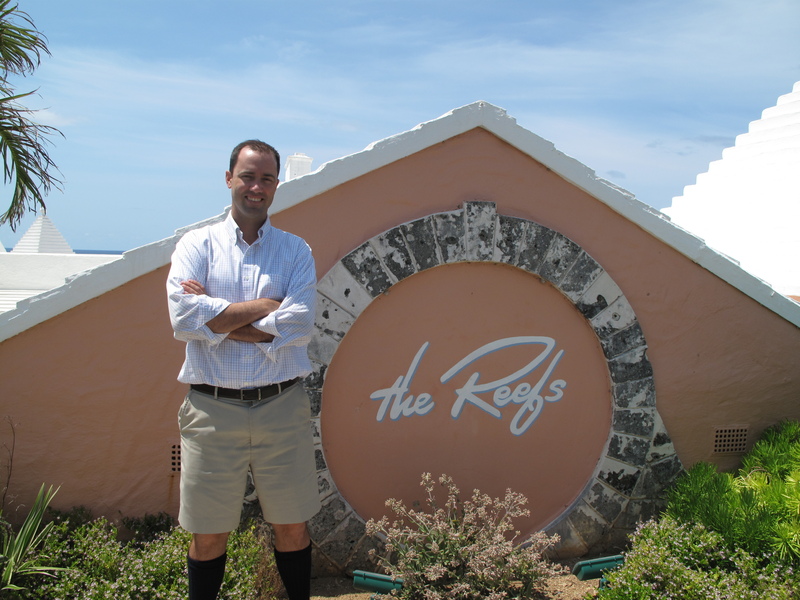 It’s rare that the manager of an award winning luxury resort is reminded by his guests of how they knew him when he was in diapers, but at The Reefs Resort & Club in Bermuda, it’s business as usual. That’s because resort manager David Dodwell, Jr. practically grew up at the resort first managed by his father and has since returned to run the business himself. David got his first summer job at The Reefs when he was just 13 years old. “I think I always knew I wanted to be involved with The Reefs later on in life,” he says. 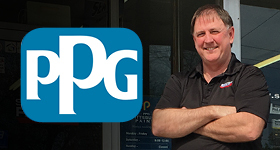 A graduate of the prestigious Cornell University School of Hotel Administration, David has come a long way since his days of restocking the bars on his summer break. The resort has certainly come a long way, too. In 2012, The Reefs was voted the Top Resort in the Caribbean, Bermuda, and the Bahamas in the Travel + Leisure World’s Best Awards readers’ survey. That commitment to customer service has created a long tradition of returning guests who visit The Reefs year after year. These guests know the Dodwell family and have created a personal relationship with David and his father. “Our favorite story is of our longest repeat guest, who visited us 128 times!” David says. “He would take my brother and I fishing when we were kids, and he would bring whatever he caught up to the restaurant, where they would cook it for him for dinner each night.” Although this guest passed away years ago, he will forever be a part of The Reefs Resort, David built a beautiful deck on the fishing spot and named it in the guest’s honor. Amidst that variety of local businesses, The Reefs combines world-class accommodations and amenities with personal service to create the ultimate vacation experience in the Dodwell family’s piece of paradise. To plan your trip to The Reefs Resort & Club, visit the website at http://www.thereefs.com/. The Reefs resort manager David Dodwell, Jr.
Read more about buy local materials, buying local, customer service, find a local business, find local businesses, find locally owned businesses, get local, Help small business, local business, local businesses, local buying, local shop, shop local, shop locally, Shop Small, shops local, small business, small business help, small businesses, stay local, The Reefs, why buy local.